I’m getting ready to go on vacation next week (Ireland here I come). This means that I’m looking for ways I can save money. After looking online, I’ve found some helpful websites that list locations that give great student, military, and civilian government employee discounts. It’s important to note that most of these places don’t advertise these discounts, but if you ask for them you’ll be getting a fair reduction in price. I love getting student discounts. I’ve always used my student ID to get a free drink at Qdoba Mexican Grill and a reduced rate at the movie theater. Once I started to do more research I realized most places give student discounts. I never asked, so they never gave them to me. If you visit GiftCardGranny.com you’ll find 81 places that offer price reductions for students. They have everything from software and insurance to food and retail. Military members definitely get the best discounts. A co-worker of mine didn’t have to pay taxes on anything while her husband was deployed. The best part about military discounts is you don’t have to be an active member to get most of these. They are open to family members and retirees. If you visit MilitaryConnection.com you’ll find a list of over 100 different military discounts. This list, like the student discount, has a variety of industries/stores. A lot of government employees were military personal at one point or another. These people get all the military discounts, but what about people like me that work for the government but were never part of anything like that? Well don’t worry; there are some discounts for us too. I will say that I couldn’t find a huge list like the ones above, but the discounts are out there. If you go to Fedsmith.com you’ll find some companies that offer discounts to civilian government employees. If you aren’t sure if you can get one or not just ask (like I mentioned above they aren’t going to advertise it). I do know that a lot of hotels offer “discounts”, but it’s important to make sure you’re actually getting a better rate. I would recommend finding out what the normal rate is before asking about the discount. You don’t want a situation where it would have been $100/night, but with the special government discount it’s now $150/night. Hopefully some of you can use these lists to help your budget. I know I plan on using them (not the senior discount)! I don’t think I need to mention that to get most of these discounts you need a valid ID card. 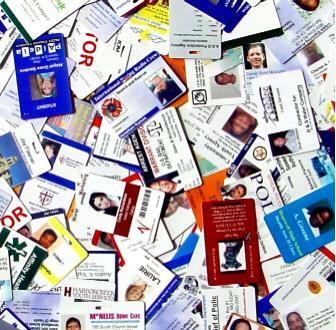 Do you know of any other ID cards that can get us a great discount?